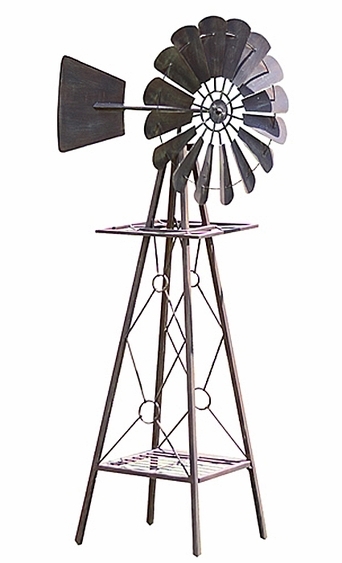 Of all the unique and colorful wind spinners that we offer, none might be more popular that the classic vintage-style feel of our rustic garden windmills! Mix and match 2 available sizes of this classic windmill design! The large fan blades serve to catch the wind and spin around while a large tail fan in back helps keep the spinner pointing in the direction of the breeze. All metal in design and powder-coated for extended durability for outdoor use. Ground stake mounts included for added stability.